PSC's occupational health team administers a nationwide public access defibrillation program in U.S. federal buildings. 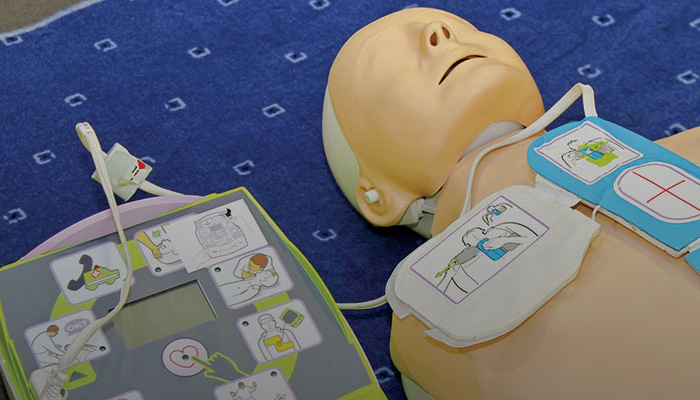 The Automated External Defibrillator (AED) program integrates life-saving equipment and training into a comprehensive program that ensures responder preparedness. PSC is the leader in establishing a national AED program for the federal government and has established itself as the largest overall public access AED program in the nation, with more than 3,900 units. PSC provides this effective, full-service structured program. A research study published in the January 2014 Journal of Occupational and Environmental Medicine demonstrates that the PSC AED program clearly benefits survival after cardiac arrest in the workplace. Without a program, nationally, a person's chance of surviving a true cardiac arrest is 3 to 4 percent. With an established AED program, the current data show that the survival rate can be greater than 40 percent. This event has certain protocols in place that we had to follow and this letter is to applaud the whole team of professionals that helped guide me through the process. My first contact…patiently answered my many questions, emails and phone calls with grace and professionalism. Can't say enough just how impressed I was…."